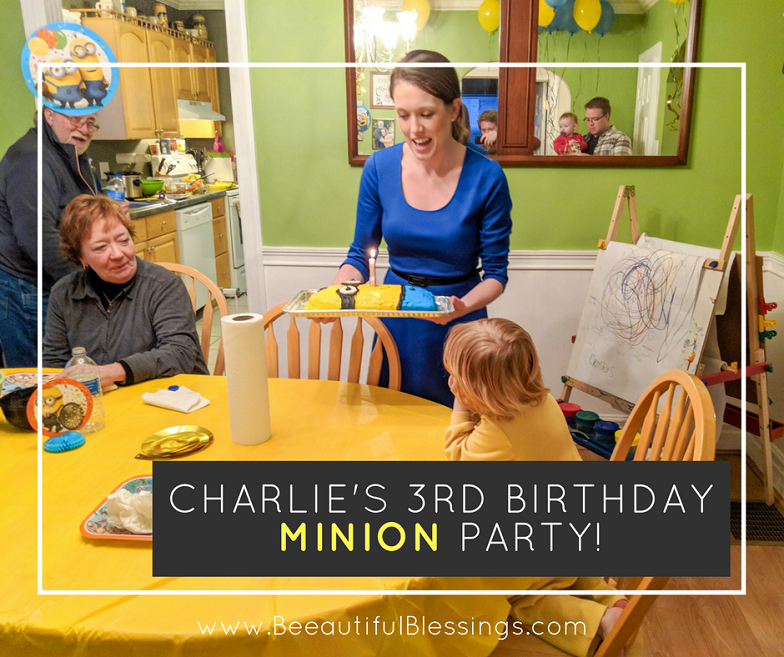 (Bee)autiful Blessings: My Little Minion's 3rd Birthday Party! 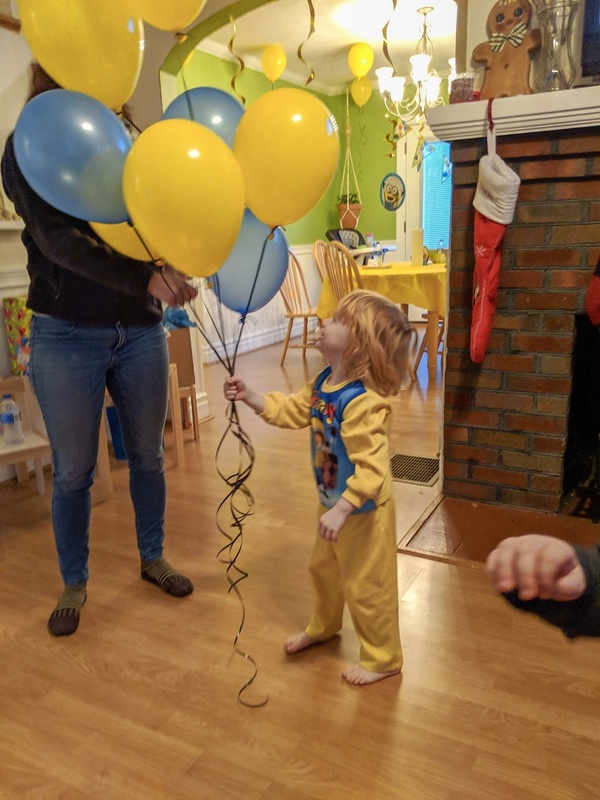 My Little Minion's 3rd Birthday Party! 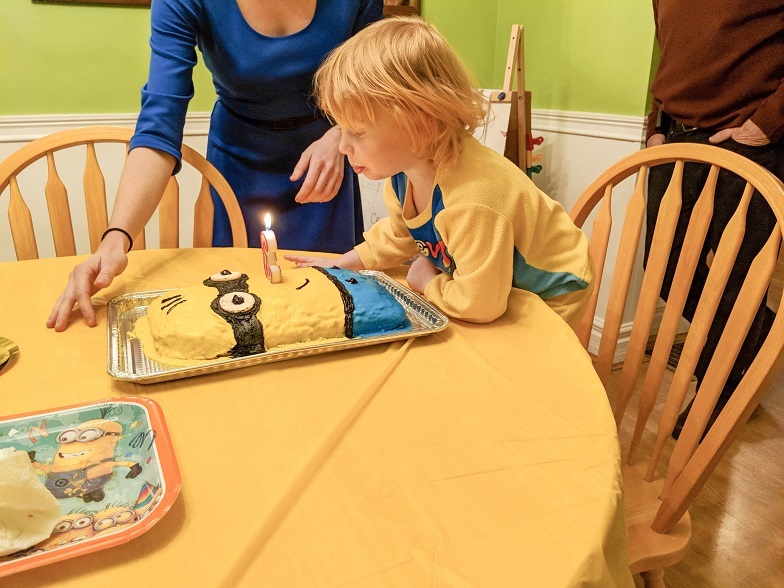 The day after Christmas, my little minion celebrated his THIRD birthday! Originally, we had planned to host his party the weekend before Christmas. The morning of his party, Charlie woke up horribly sick and we had to cancel. 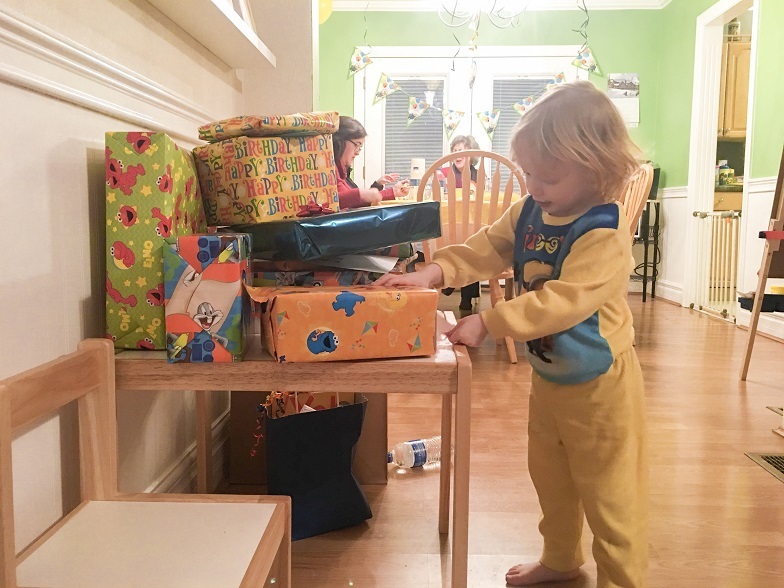 After a week at home with a nasty flu virus, by the time his actual birthday rolled around on the 26th, we were all ready to have some fun! Our whole family loves the Despicable Me series, but none more than Charlie. 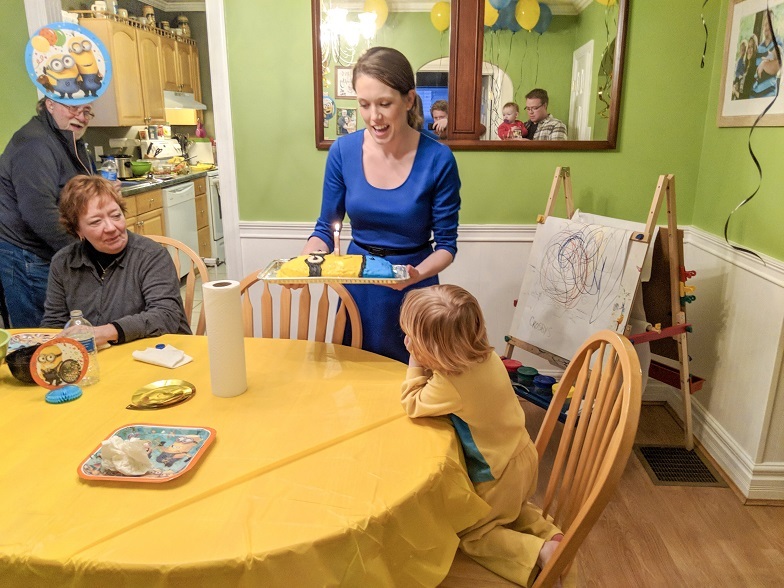 So, I decided to go with a Minion theme for Charlie's third birthday party! Our house is pretty small and Chuck's family is pretty big, so we kept it family-only. After all of the holiday hullabaloo, we wanted it laidback. 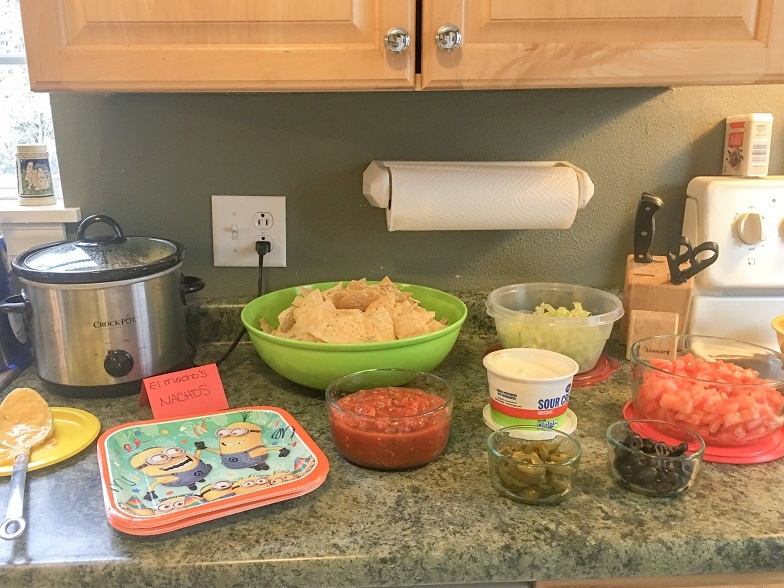 It was nothing fancy, but we all had a great time, so the party was a success in my book! 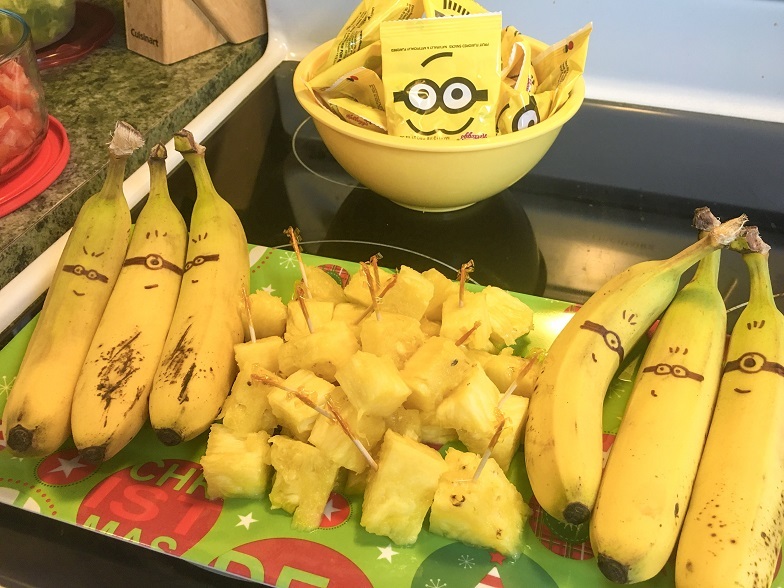 The food was silly- Minion fruit snacks, pineapple, bananas, and a make-your-own Nacho Bar that I appropriately named, "El Macho's Nachos." 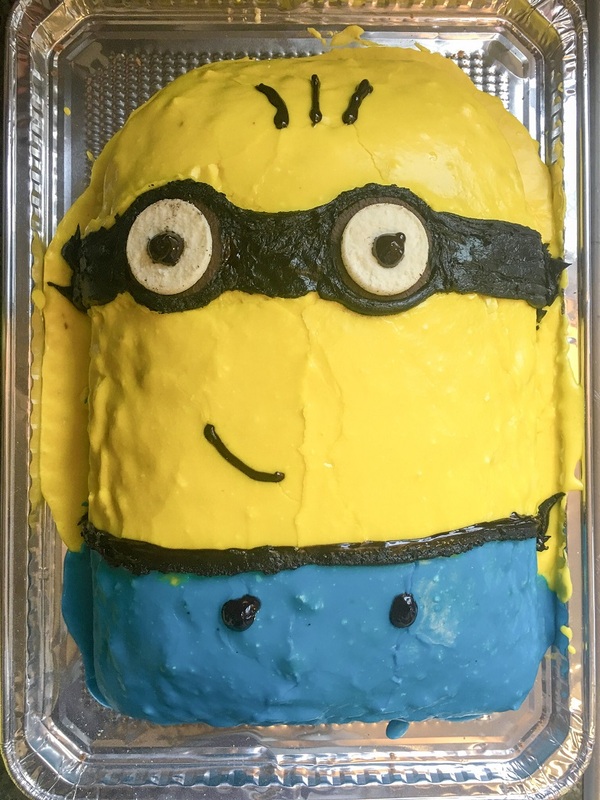 I saw an idea for a minion cake on Pinterest and was so proud of myself that I actually managed to pull it off! 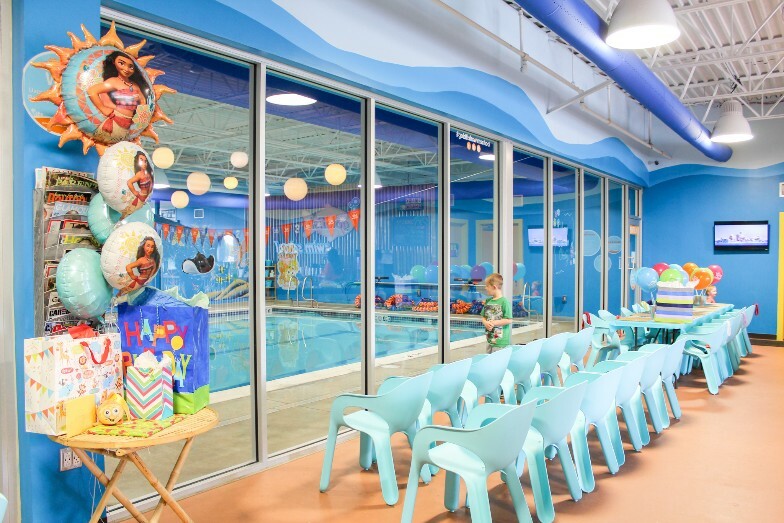 It always feels like so much work to host a party, but I love creating these silly memories for my boys. 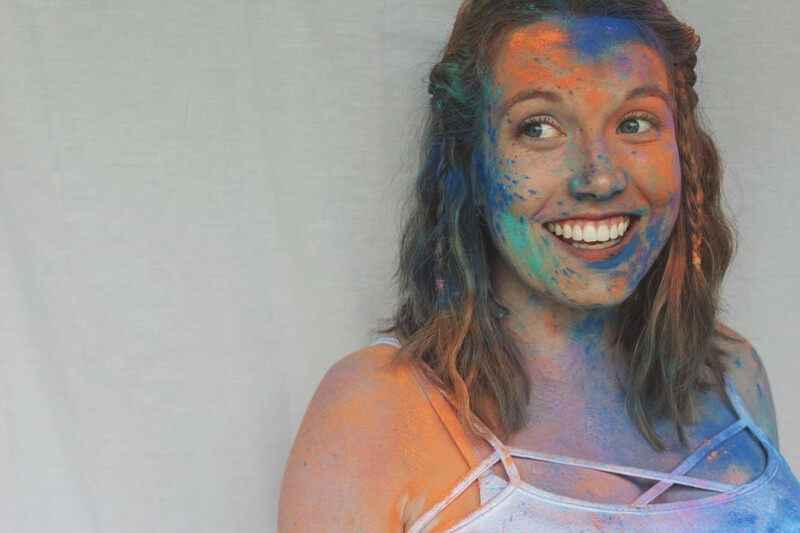 My Mom always did a fabulous job of making holidays and birthdays feel extra special and I hope I can create those same feelings for my own kids.